Despite increasingly efficient components and low power technologies, the energy demands of portable electronic products such as next-generation mobile phones, wearable computers, autonomous sensors and microsystems will rise dramatically in the future due to their growing functionality. As improvements in battery technology have so far been limited to energy density increases of only a few percent per annum, over the past few years many R&D activities have concentrated on alternative forms of portable power supply. 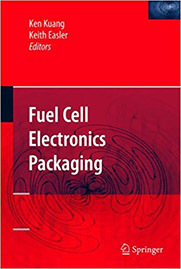 One of the most promising candidates is micro fuel cells (FCs) based on polymer electrolyte membranes (PEMs). They could be used as energy sources for applications in devices such as hearing aids, chip cards, wireless sensor networks and other small portable devices, thereby replacing Li-polymer batteries, button cells and zinc air batteries. Compared to batteries the environmental impact of fuel cells is much lower.